Born at Nanaimo, British Columbia on 15 March 1891, son of Daniel Evans and Margaret Woods, brother of Annie Evans Wright, he was raised as a Baptist by British immigrants to Canada. He came to Brandon to attend high school and, in 1913, he graduated with a BA degree from the then Brandon Baptist College. He taught at the Academy for several years and, in 1920, he went to the University of Chicago in Illinois, where he earned a PhD in Geology in 1924. 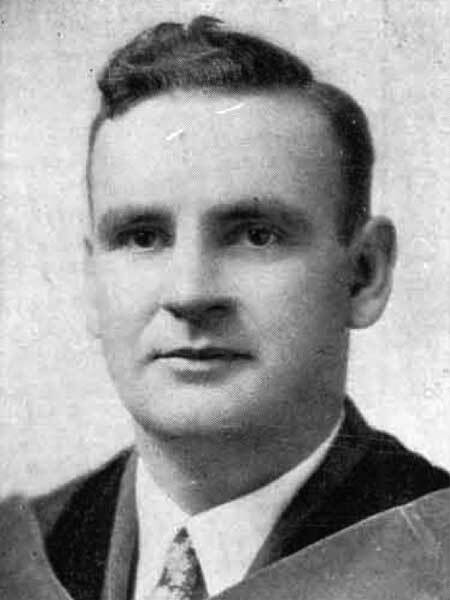 Evans was offered a fellowship at the University of Chicago, but he turned it down to return to Brandon College in order to lecture on Geology. He became President of the College in 1928, and during his thirty years in the position he took on the task of keeping the College afloat. Evans worked continuously to raise the funds to both support and expand Brandon College. He would travel miles to pitch the College to potential supporters along with A. E. McKenzie. He died on 23 July 1959 while on holiday in British Columbia, before the date for the sod turning on the new lecture theatre at Brandon College had been set. The theatre was the first building set to be built of his expansion plans. The Evans Theatre at Brandon University is named in his honour. “Dr. J. R. C Evans Kept College Alive,” Brandon Sun, 29 March 1975. T. Mitchell and W. R. Morrison, “Only Brandon Men Can and Will Save It”: Boosterism, Brandon College, and the Crisis of the Great Depression, Manitoba History, Number 24, Autumn 1992.